Clay Earthgaia, the sole heir to the clan, has come into his own as a skilled golem molder. Yet he hasn’t topped his earliest creations, his companion golems Kurogane and Shirogane. The two of them are so lifelike, they are often mistaken as human! Unfortunately, the golem crafter’s guild sees the golems’ unrestricted egos as a threat. 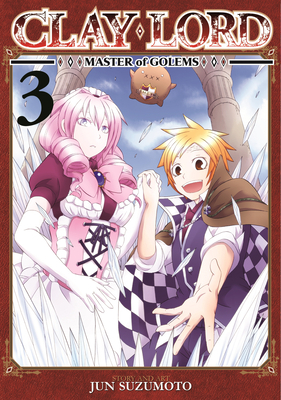 In this final chapter, Clay must choose between his future as a member of the guild and the closest thing to a family he has left. Should Clay sacrifice his past to secure his future?